Elon Musk joked that the Model Y might not have a steering wheel at all. While Tesla is still working on ramping up Model 3 production, it doesn't sound like its future vehicles' development has fallen by the wayside. 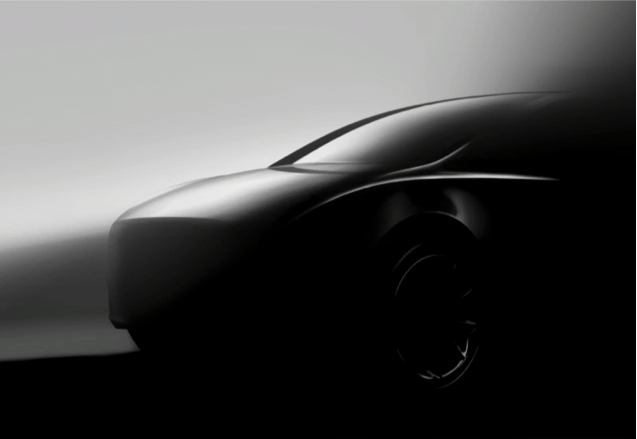 The automaker has revealed another shadowy sketch of the Model Y crossover SUV during its most recent shareholders meeting. Based on the photo Electrek grabbed, it doesn't reveal a lot about the vehicle -- the design sketch at least shows Model Y from a different angle than what the first photo showed -- but Tesla chief Elon Musk shared a few details about the crossover. He said Model Y won't have any leather and even joked that it might not have a steering wheel at all. "Model Y will not have any leather in it," the CEO said, "even in the steering wheel... even if it does have a steering wheel." Musk might be joking, might but it won't come as a surprise if Tesla decides not to put a steering wheel in the vehicle, seeing as other automakers intend to do the same for their fully autonomous vehicles. GM, for instance, announced its plans to release cars with no steering wheels in 2019 earlier this year. We'll know for sure once Tesla launches the electric SUV, which could happen anytime between the end of this year and mid-2019. In addition to sharing a few details about Model Y, Musk said that Tesla is looking to offer free Autopilot trials to people who haven't paid to activate it yet. He didn't mention when that will roll out and how long the trial period will be, but he did say that Tesla will release an update for the software later this week. The company's head of worldwide sales, Robin Ren, has also revealed during the meeting that Tesla plans to build its first foreign factory in Shanghai. According to previous reports, the automaker started laying the groundwork to build cars in China years ago in an effort to avoid the country's hefty import tariffs. Now, Ren has promised to talk more about the factory in the near future. As for Model 3, Musk said the company will "quite likely" start producing 5,000 cars per week by the end of June. That's probably a crucial goal Tesla has to meet to prevent those waiting for their cars to cancel their pre-orders due to continued delays.